Sustainable enterprises throughout Europe strongly criticise recent German opposition to circular economy recycling targets. No targets, no measures; and without effective measures, the package loses much of its strength to boost circular design and business models, warn Arthur ten Wolde and Alyssa Jade McDonald-Baertl. Arthur ten Wolde is an advisor on the Circular Economy and Alyssa Jade McDonald-Baertl is on the board of Ecopreneur.eu, the European Sustainable Business Federation. The German government is proposing to scrap the recycling targets in the Circular Economy Package as proposed by the European Commission. Sustainable companies in Germany have commented against the move, stating that they know themselves how relevant and achievable the original targets are and moot to maintain the direction. 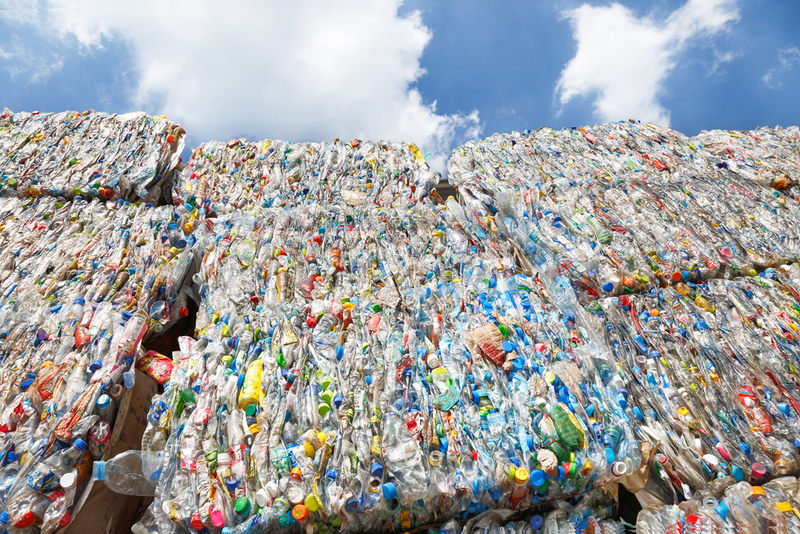 Long seen as a champion of innovative and progressive recycling measures, Germany would destabilise one of the foundations of core European policy with this move. According to leaked information, the German government attempted to delay the higher recycling quotas due to questions about the calculation method. Given that Germany has a long history of recycling and re-use culture, both in in business and public sector (municipal solid waste) the decades of existing models can easily be reviewed and applied. Additionally, reviewing the numbers in an authentic light will also help keep the measures relevantly robust as, currently, foreign materials and waste (introduced by mistake) have been considered recycled in most of the (separately) collected domestic waste streams. This has led to an un-relatable recycling figure that the German government has used to benchmark the European Union figures with. Essentially, it would be a direct weakening of the EU’s circular economy policy and with it, a massive step back in the new green economy and environmental protection. To put the whole move into perspective, ones needs to reflect that this weakening of stance comes in fact, relative to an already weakened position; the watered down strategy, has been watered down even more. Specifically, the targets were already softened compared to an earlier proposal; they now aim for recycling 65% of municipal waste and 75% of packaging waste by 2030. Commercial organisations in Germany and around Europe have welcomed these targets for the incentive they give to member states to implement effective measures that increase recycling. Business cases have been built according to them, and proven that it is cost and resource efficient to do so. Pioneer companies have in fact been rolling out such strategy for decades now, and have proven in practice how they work in waste prevention, recyclable waste collection and recycling. The concern for the sustainable business community is that with reduced targets and measures, progressive circular design and circular business models will diminish in response. A sense of urgency in the creation and delivery of innovative and stand-out cases occurs when targets are set in an ideal range and implemented. The clichéd mother of invention is the necessity by which strong and stable recycling targets are set and relied upon in Europe. Germany’s role in demonstrating this over the last decade has been excellent in policy making, and also in practical terms of Best Practice sharing between founders and designers, managers and producers within industry-direct. Politics is all about targets, otherwise they are just words of intent. Future shortages of resources will be solved by the market and the opportunity for the EU lies in effective measures to create a circular economy preserving and maximising their value while doing so. To put the recycling topic in perspective, over 2,000 sustainable companies agree that the circular economy is much more than just ‘recycling’. Firstly, it is evolving and implementing the circular business models using circular design to deliver products and services which return on themselves. This means that that they are durable, easy to maintain, share, repair and upgrade and reuse – before being recycled. Burned is only when there is no other option, as last case resort. To prevent reusable products such as wooden pallets being recycled when they could be reused, we have in fact asked for an additional, separate target for reuse besides recycling. Maintaining the current level of ambition for recycling is crucial, however, for the success of EU circular economy policies. In this respect Ecopreneur.eu has asked for a policy mix including financial incentives such as Extended Producer Responsibility (EPR) schemes, a massive training campaign for local and regional authorities about integrating circularity in public procurement, and expansion of the Ecodesign directive to include minimum requirements for circular design. We as companies welcome it if all member states agree on recycling targets for 2030 as soon as possible. We are ready for it and have proven cases in all key industries and countries. Best Practice exists, and it needs the impetus of regulation to average-up the market in general. This would lead to increased investment in recycling and circular structures in the whole of Europe, including upskilling of workforce and creating new jobs. The sooner a political agreement is made, the faster investment decisions can be made in building up collection systems, sorting and recycling technologies. In contrast, a delay in the recycling targets will just counter-incentivise outdated waste incineration plants and such. We therefore strongly urge the German government to withdraw this proposal. We also call on the European Commission, European Parliament and other member states to stick to the current recycling targets. This will not harm Germany at all: in fact they have already hit the 2030 target! But recycling rates vary widely across the EU. Changing that is one of the main challenges. Solution is very simply: Over 2,000 sustainable companies must operate on free market as all another companies without any donations from state budget, If there is need for their services on the market then this companies will survive otherwise they will fall.